One of the weird things about being a writer is how long everything takes. Publishing is definitely a marathon, not a sprint. Alice Jones: The Impossible Clue comes out this month (actually, it’s been seen out in bookshops already!) but I finished writing it long ago. In fact, I’ve already finished the first draft of Alice Jones: Book 2 and am in the process of outlining Alice Jones: Book 3 in the hopes that it gets picked up as well. So how long is long? 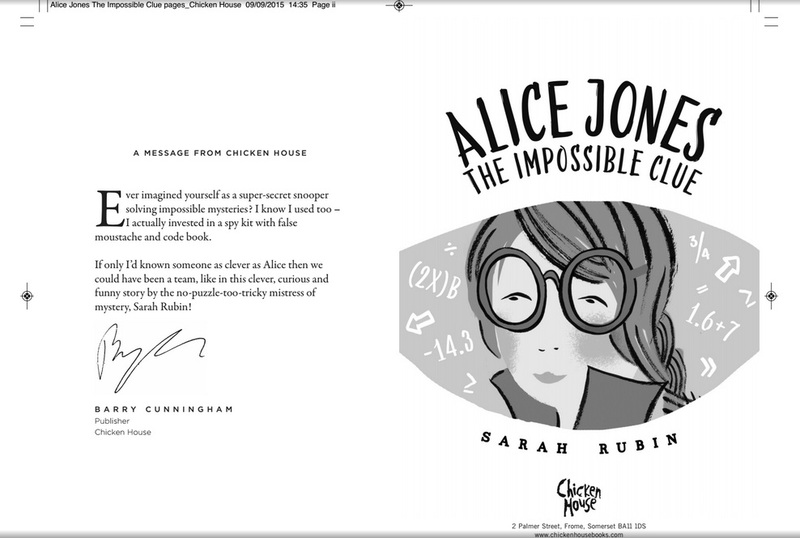 I’m sure it differs from house to house and book to book, but for me I started writing Alice Jones: The Impossible Clue at the beginning of 2014 and signed a contract with Chicken House in the Autumn. Then there were layers of rewriting and editing, title changes and cover design until it was done (August-ish 2015) and ready for release. Of course, books don’t just get released when they’re done. Releases are scheduled to fit into the publisher’s calendar, to make sure all of their books don’t come out at once. Mine is officially out months later on 4 February 2016. That’s about a year and a half from when Chicken House bought the manuscript* and over two years from when I started writing the first draft. On the one hand, it can be frustrating to wait so long to see your work make it to print. On the other, it gives you time to work on your next book. I started writing Alice Jones Book 2 (about the mysterious, perhaps ghostly, problems plaguing The Beryl Theater) while my editors were busy working on Book 1. And when I got stuck working on Book 2, I’d daydream about ideas for Book 3. Seeing The Impossible Clue in a bookshop for the first time (yesterday!) was thrilling, but it was also like traveling back in time to visit an earlier version of myself. I remembered where I was when I started writing, and all of the fun and frustrating times I had helping Alice solve the mystery of the invisible scientist, and then it was time to go back to the future where Book 2 and 3 are waiting to be finished. *This was an extra long incubation period, probably because I had a baby in the middle of things and Chicken House scheduled in some buffer time just in case. I believe one year from purchase to publication is more average. 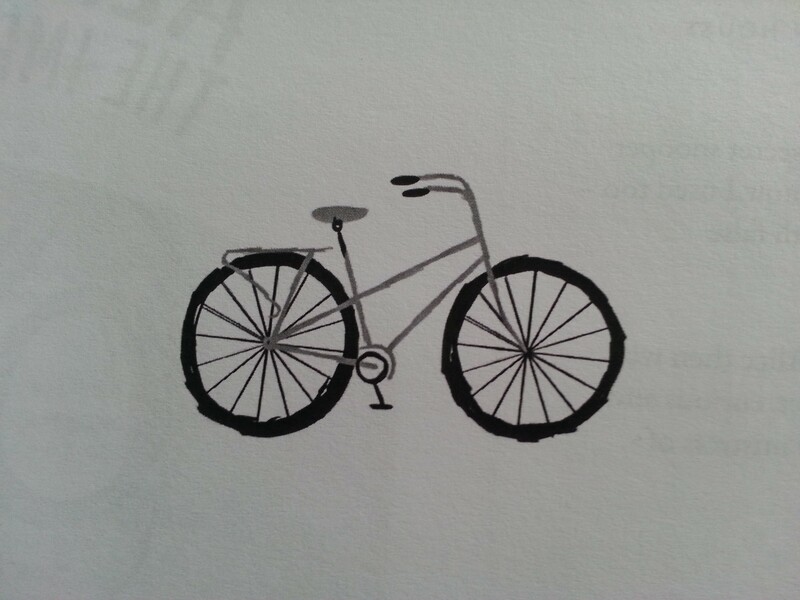 First; Alice rides her bike all over Philadelphia while she’s chasing down leads, so I was thrilled that there was a picture of a bicycle on the first page. Second; I had no idea Barry Cunningham, the Managing Director, Publisher and kid-lit genius, would write a little blurb on the inside. Wow, so exciting! I posted this on Facebook. These typeset pages are called uncorrected proofs (sometimes page proofs, sometimes galley proofs). They are one last chance for the author (and a proofreader, thank goodness) to fix any mistakes before the book goes to print. This is not the time to rewrite chunks of dialogue or description since the typesetter has spent a lot of time fitting just the right number of words onto each page. But there is space to change anything small or obviously wrong. And so for the next few days I’ll be rereading my work, looking for misspellings and other mistakes, red pen at the ready, jellybeans by my side. And then it’s back to finishing the next Alice Jones adventure. A few years ago, I was giving a talk at my old elementary school. The students had so many great questions about the book and about being a writer. And it was fun to see Mrs. Tripp, my fourth grade teacher, trying not to cry when I talked about how much I loved writing choose your own adventure stories in her class. One student asked me how many drafts I wrote of Dreamer Ballerina. When I answered him, the entire auditorium gasped. Seriously, if there was a video, you’d see the collective intake of breath make my hair move. From the first handwritten draft I scribbled down in a notebook, to the final published book, I wrote twenty drafts. It sounds like a lot. The student’s looked horrified. But hey, writing is hard work, and it’s good to know that up front. I think it’s also good to know that first drafts are almost always rubbish. My first drafts are so full of mistakes, cliches, bad ideas, clunky dialogue and wrong-plot-turns, that it scares me to think about someone reading them. * Thank goodness I get a chance to rewrite! So, to the wonderful students at Mt. Desert Elementary School, don’t let the 20 drafts put you off. Don’t stop writing because your first draft doesn’t work, or your second, or your third, or your twentieth. If you love to write, keep on writing! Happy December everyone! It is getting cold where I live and I’m drinking lots of cups of tea to keep warm while I write. I also just like tea. In my last post, I mentioned I was in the middle of revising Alice Jones and the Invisible Scientist for Chicken House. I thought it might be interesting to talk a bit about how much editing goes into a book once you sign a contract with a publisher. disclaimer- this is all based on my experience working with Chicken House. Things may vary with other publishers, but I think the general idea is universal. The first thing that happens when a publisher is interested in your book (after you dance around your living room like a muppet and scare your cat) is a discussion about the changes they would like you to make. It sounds a little strange, doesn’t it? Publisher- We love your book! The thing is, writing is not something you can do all by yourself, which sounds weird. But having other people read your writing and give you feedback is so important if you want to get better. I write a draft, get help from my writing group. Write another draft, get help from my agent. So getting help from an editor is just the next step up the ladder. In my case, Chicken House asked me to come in for a meeting to talk about the changes they would like (this happened both times, the first time I was ridiculously nervous, the second time was a lot more fun). I actually really enjoy this process. Those editors are smart and have a lot of great ideas and a very good understanding of their target audience. I know some writers worry about having someone else ‘change’ their work, but in my experience, all the editor will do is point out where they see a problem. It’s up to you, the writer, to come up with how to fix it. Once your big changes get approved, it’s time to look at the book scene-by-scene, sentence-by-sentence. Your editor will do a close reading, making comments on scenes that need more action or emotion, sentences that read a bit funky and anything else that catches his or her eye. These are changes that can be fixed by adding a paragraph on page 11, problems on a writing level instead of a structural level. I imagine this used to be a lot harder when everything had to be handwritten and sent back and forth by post. Now that there is email and track-changes, it goes pretty quickly. You may also go through some fact checking in this round. Chicken House sent Dreamer Ballerina to a reader in New York to make sure I hadn’t dropped any clangers when I was writing the city. (I had, the worst was sticking Casey’s friend Andrea in a 20 storey walk-up, apparently 6 was much more realistic.) They also double checked the names of the dance schools in the book and the dates I used. I’m not sure Alice Jones and the Invisible Scientist will get the same level of fact checking since it isn’t historical fiction, but we shall see. *this version of the Style Sheet came before I argued that even though Dumpster is a trademark, it’s entered into general usage and shouldn’t be capitalized (they let me win on that one). And this is the most exciting stage of all. Once all of the editing is done, the rewrites, the line edits, the copy edits and fact checking, your publisher will send you your page proofs. These are basically an unbound copy of what your book will look like in print. This is your last chance to catch any typos or misspellings before it goes to print. You go over it with a fine tooth comb and hope that you don’t find anything. So that is editing with a publisher in a very big nutshell. I’m sure there are a ton of things I’ve left out (or just don’t know about because I only see things from the author’s perspective). It’s a lot of work, but it can be a lot of fun too. And when you get fun emails about bits and bobs like cover designs (so exciting) thrown into the mix, it’s just fabulous!